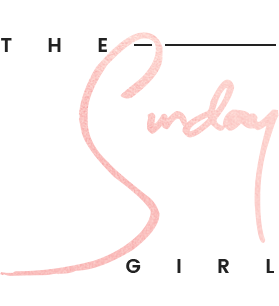 I have been teaming it with either and on some occasions both of my tinted Clinique Superprimer's either the one created for sallow skin or discolouration. At the moment due to a little over eagerness on my part with a facial scrub I have been using. For that reason alone to help mute the angry appearance of my acne scarring et al I have been relying heavily on the Clinique Superprimer in Discolourations. I'm not going to state that it will disguise all scarring but as far as primers go it is one of the best for calming redness in my opinion not to mention it does a great job of prolonging make-up wear too. Find it at Debenhams - link. I wish I suited a berry lip shade but I don't, I partly blame the size of my lips and wholly blame my lack of self confidence. Instead I have been reaching for slightly deeper nudes than usual (living on the edge eh?) and the one shade I recommend is MAC Brave. 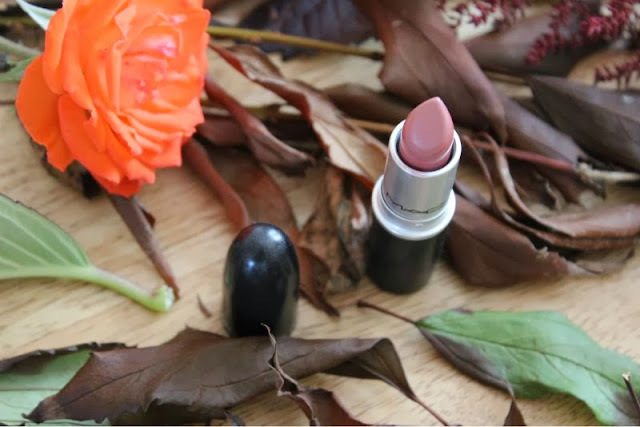 In my opinion this lipstick does not get enough press - yes it is neutral and in some cases cool toned but oddly it encapsulates Autumn perfectly. If given the chance swatch it in store, I doubt you'll be disappointed. Find it on Selfridges - link and of course MAC - link. To know me is to know I am a lazy so and so when it comes to daily make-up so cream formulas suit me to a tee. 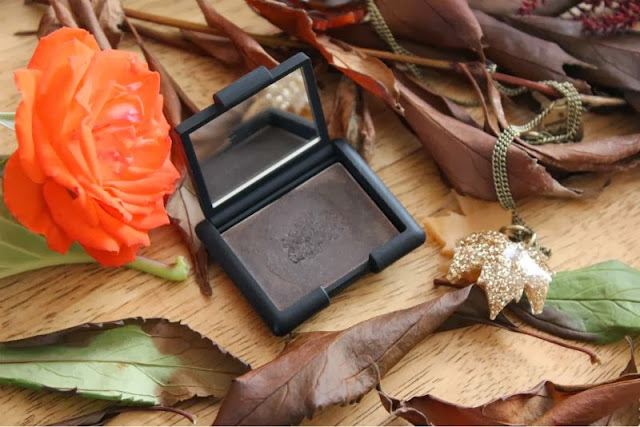 I haven't been wearing a lot of eye make-up for day wear but I have been out a good few evenings in the last week and my current go to is NARS Ponderosa Cream Eyeshadow blended over the lid with a quick dusting of either MAC's Handwritten Eyeshadow or translucent powder to set it as without such power layer it does have a tendency to crease. 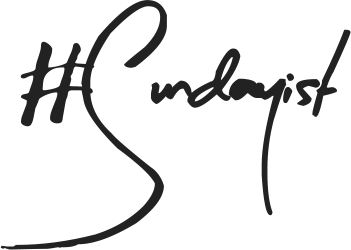 It wouldn't be a weekly favourite post without both a fragrance inclusion and a few miscellaneous bits and bobs. 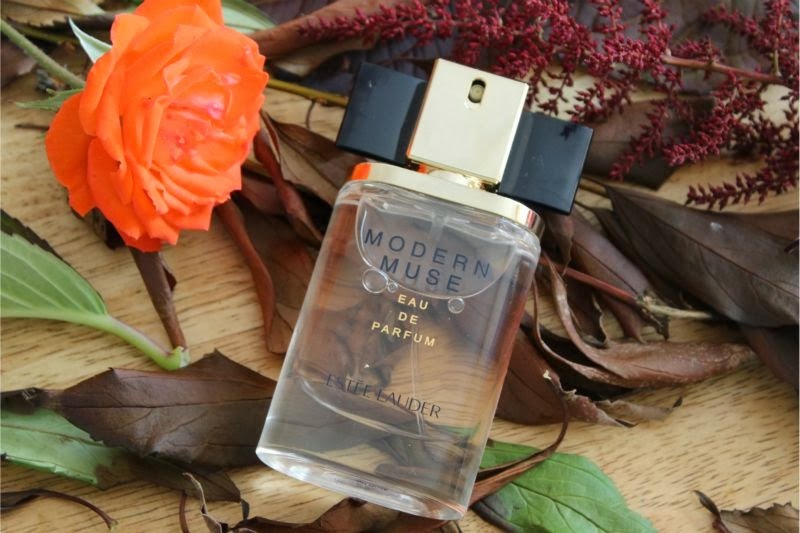 First up my current scent of choice is the scrumptious Estee Lauder Modern Muse which I did not expect to like half as much as I do. It is sensual yet warm and floral at the same time, it certainly is worth a whiff! You can find it at Debenhams starting at £44 - link. I have mentioned a good few times that I am a convert to the gel nail craze, traditional polish doesn't wear well on my nails at all. 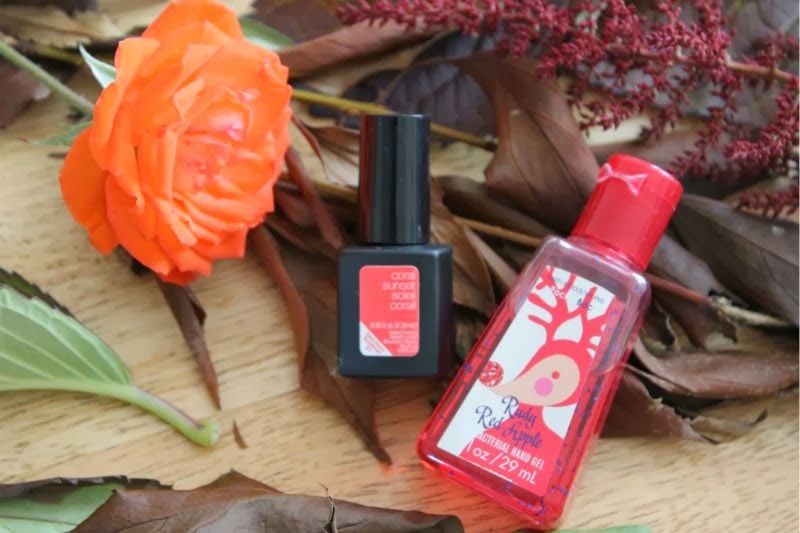 Recently I have been enjoying Sensationail's Gel Polish in Coral Sunset but do plan on purchasing a few OPI Gel Polishes (Lincoln Park After Dark, My Private Jet and Bubble Bath to name a few) for the weeks ahead. While we are on the subject of hands I found a Bath and Body Works' Anti Bacterial Hand Gel in a hand bag and have to say I finally get the fuss. Yes I have a Christmas fragrance from last year but my goodness does it smell amazing. I must pick up a few Autumnal scents to keep my hands germ free and smelling sweet. UK readers can find most scents on eBay for a fairly reasonable price. Last but not least we have my new Tatty Devine Fallen Leaves Necklace which truthfully I was not all that impressed with the quality as it does feel a little flimsy but my worries were just that. I have worn it everyday since it arrived and so far so good. I can't wait to pair the leafy design with chunky knits and ankle boots. You can find it here - link. Do you have any favourable products from the last few days? That MAC lipstick is so pretty! think ill try Brave cause it really does look gorgeous! Great selection of favourites! I want to raid your make-up bag! 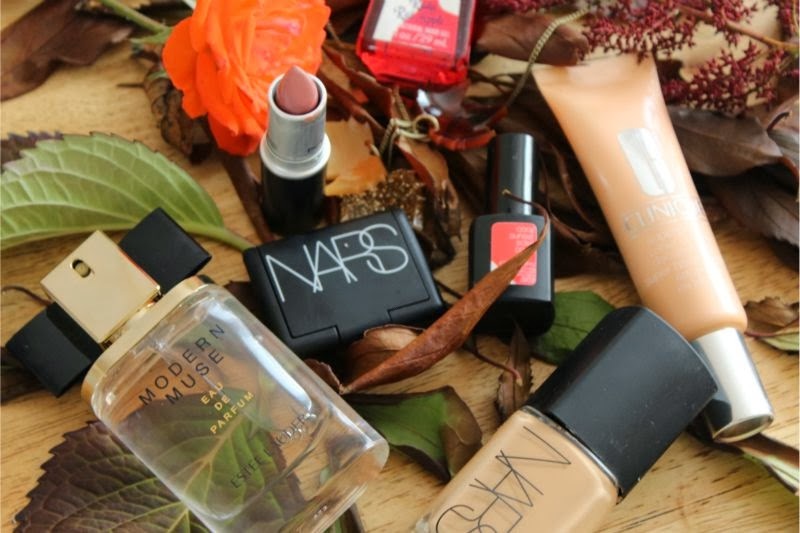 I've been obsessed with my Nars Sheer Glow and my sensationail kit. Both are such statement products for me at the moment. Great favourites! I love using my student discount on ASOS! 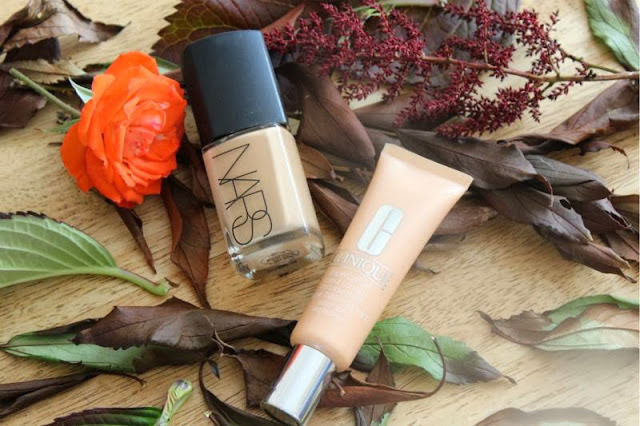 Nars sheer glow is one of the best foundations i have ever tried! I really want to get my hands on a clinique primer! 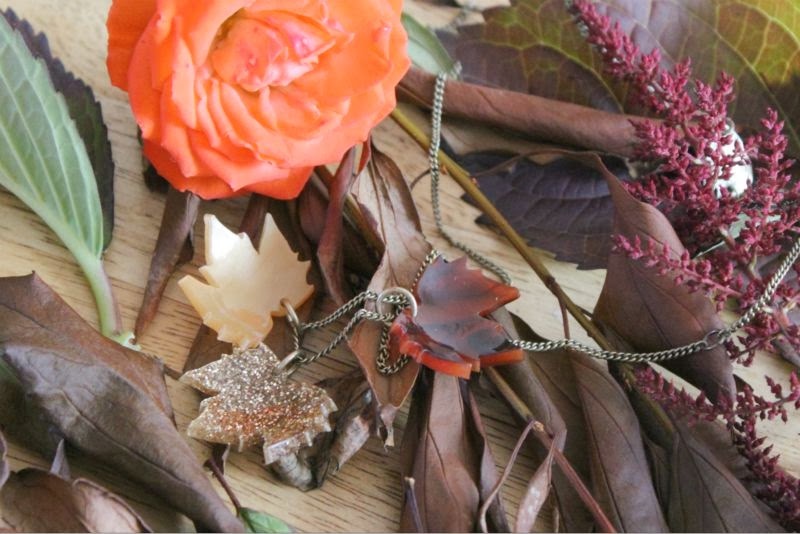 love the autumn leaves accessories!